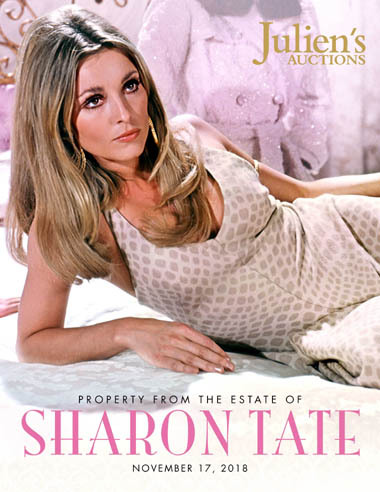 Known as one of Hollywood’s most magnetic stars of the era, actress and model Sharon Tate’s life and style embodied the very essence of the decade now known as the swinging 60’s. 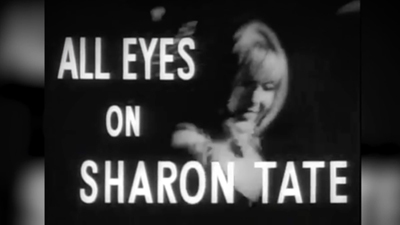 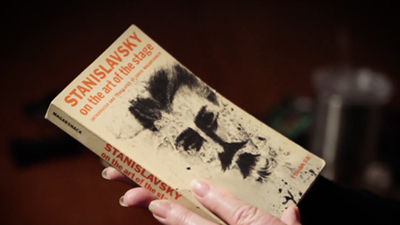 Tate was amongst the celebrities that influenced the sights and sounds of that era’s culture, joining the likes of Jean Shrimpton and Twiggy. 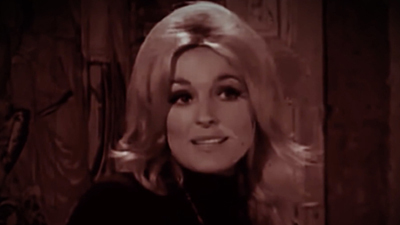 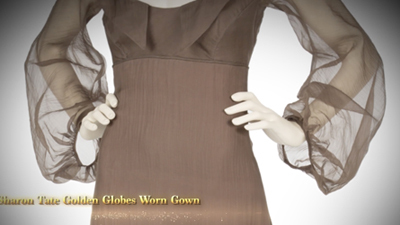 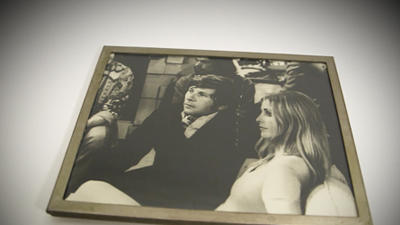 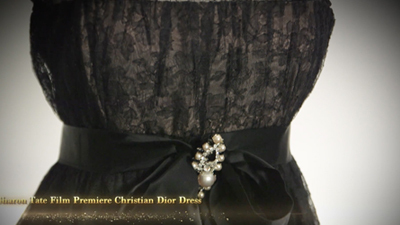 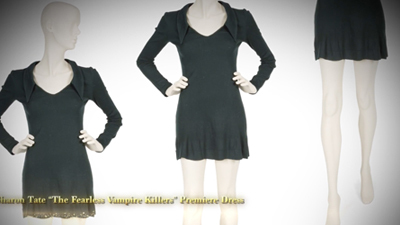 Highlights include a custom made chocolate slubbed silk dress attributed as being made by William Travilla and worn by Sharon Tate while being interviewed on the 1968 documentary The New Cinema (estimate: $5000-$7000); a black floral lace Christian Dior mini dress worn by Tate to the London premiere of Roman Polanski’s 1966 film Cul-de-Sac (estimate: $15,000-$30,000); Tate’s chocolate sheer silk Alba gown worn at the 1968 Golden Globe Awards with Polanski (estimate: $4,000-$6,000); the ivory silk moiré mini wedding dress worn at her London Chelsea Registry wedding to Roman Polanski in 1968 (estimate: $25,000-$50,000); Tate’s green knit mini dress designed by Betsey Johnson for Paraphernalia worn at the Paris 1967 premiere of The Fearless Vampire Killer (estimate: $1,000-$2,000); Tate’s chocolate mink swing coat designed by "Fuhrman’s Beverly Hills” with asymmetrical collar and fur puffs for buttons (estimate: $20,000-$40,000); Tate’s makeup including Revlon black eyeliner in black and in white and a Maybelline eyebrow pencil (estimate: $300-$500); her 1957 copy of “The Paradox of Acting” by Dennis Diderot with “Masks or Faces” by William Archer inscribed "Sharon Tate" in Tate’s hand (estimate: $800-$1,200); a set of blue floral canvas and leather carry-on luggage monogrammed "ST" in which Tate and Roman Polanski were shown photographed with while returning from their honeymoon in 1968 (estimate: $1,000-$2,000); a two toned jersey mini dress worn by Tate while attending the Cannes Film Festival with Roman Polanski in 1968 (estimate: $5,000-$7,000) and more.